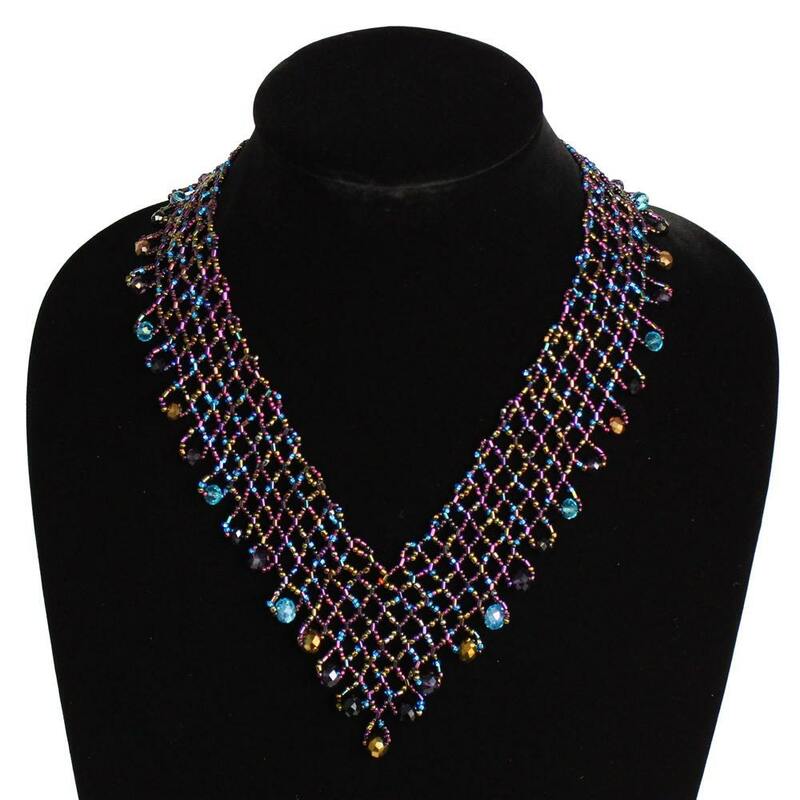 Hand beaded purple turquoise necklace is entirely handmade. It is light weight, has intricate lattice beading, and has a magnetic clasp. No fuss since no loop closures. It is 19 inches long and 1.5 inches wide. You will love using it for many years to come.